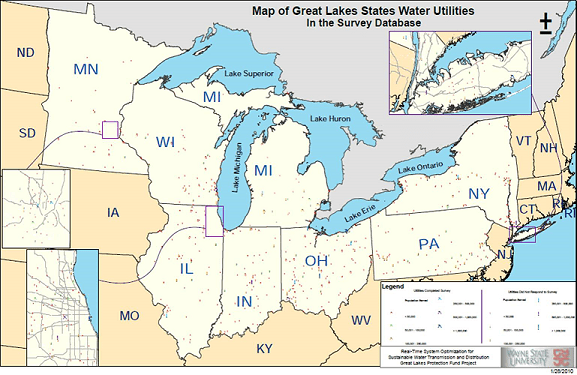 What misery afflicted these shores of the Great Lakes? How far had core Americans fallen in their own land? Fareed Zakaria was only a committed flag bearer who radiated contempt that all his “people” felt. The “people” Zakaria represented were the global elitists who have placed him where he is. Their contempt, vocalized by CNN’s Fareed Zakaria, seemed like the darkest hour of core America’s night. Fortunately, just as the proverb says, it was about to lead to a new dawn. President Trump won the election in November 2016 and a new dawn broke not just on America but also on the world. Look around America and you can feel optimism radiating across states & communities. The rest of the World once again realizes that there is nothing like America. Europe is stuck in an economic & political rut; China is slowing and facing momentous fiscal challenges. This is the America that leads from the front, confidently & with a touch of bravado. This is an America the World respects again as President Trump says. What is a major change of tone, according to Rachman? Don’t get carried away, though. Remember, this is still the Financial Times of London. It may not be as obdurate & as contemptuous of America as its sister publication The Economist. But neither the Financial Times nor Gideon Rachman are in favor of Trump’s America or in favor of voters around the world standing up for nationalism. And what about Fareed Zakaria, the man who displayed raw contempt for “cultural norms & behaviors, these social pathologies of the Scots-Irish“ two years ago? True to form, Zakaria left America in this Fourth of July week and enjoyed the company of the people who have treated Scots-Irish far worse than he has. No, we are not kidding. Zakaria launched this Fourth of July week in London with a roundtable with Zanny Minton Beddoes, the Editor of Economist, George Osborne, the former British politician & Alistair Campbell, an advisor to the ancient British prime minister Tony Blair. What an arrogant fest of anti-Trump rhetoric was that? Zakaria must have been so proud of how far he has come – the son of Rafiq Zakaria, a man who fought the British rule in India alongside Mahatma Gandhi, now sitting with the British elite & turning his nose at nationalism! So do not dismiss what Gideon Rachman wrote in the Financial Times. Rachman may not approve of nationalism but, at least, he understands it & seems to respect its power. 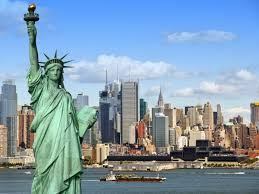 Given the optimism in America, is it time for Lady Liberty to once again turn her gaze to the World? Perhaps yes. And certainly yes, if President Trump carries the Republicans home with renewed control of the Senate and the House in November 2018.